You lucky dogs, it just gets better and better. Andrew Peterson’s Wingfeather Saga, Tolkien’s Lord of the Rings. Today we’re giving away ONE copy of A.S. Peterson’s series Fin’s Revolution. 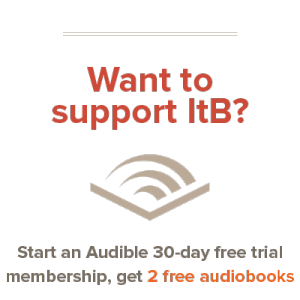 This is a phenomenal series that we at ItB have read and enjoyed (reviews: book one, book two). Arthur “Pete” Peterson (not sure where the “S” comes from) is the brother of Andrew Peterson, and turns out to be no less accomplished of a writer. Read on to learn more about Fin’s Revolution and our giveaway! America is on the brink of war with England, and Fin Button is about to come undone. She’s had it with the dull life of the orphanage, and she’s ready to marry Peter and get away from rules, chores, and a life looked after by the ever-watchful Sister Hilde. But an unexpected friendship forms between Fin and the fiddle-playing cook, Bartimaeus, which sets her on a course for revolution. With Bart’s beloved fiddle and haunting blunderbuss as her only possessions, Fin discovers her first taste of freedom as a sailor aboard the Rattlesnake. She’s hiding some dark secrets, but there are bigger problems for the crew: they are on the run from the Royal Navy, and whispers of mutiny are turning the captain into a tyrant. When Fin finally returns home, will she find Peter still waiting, or will she find that she’s lost everything she once held dear? 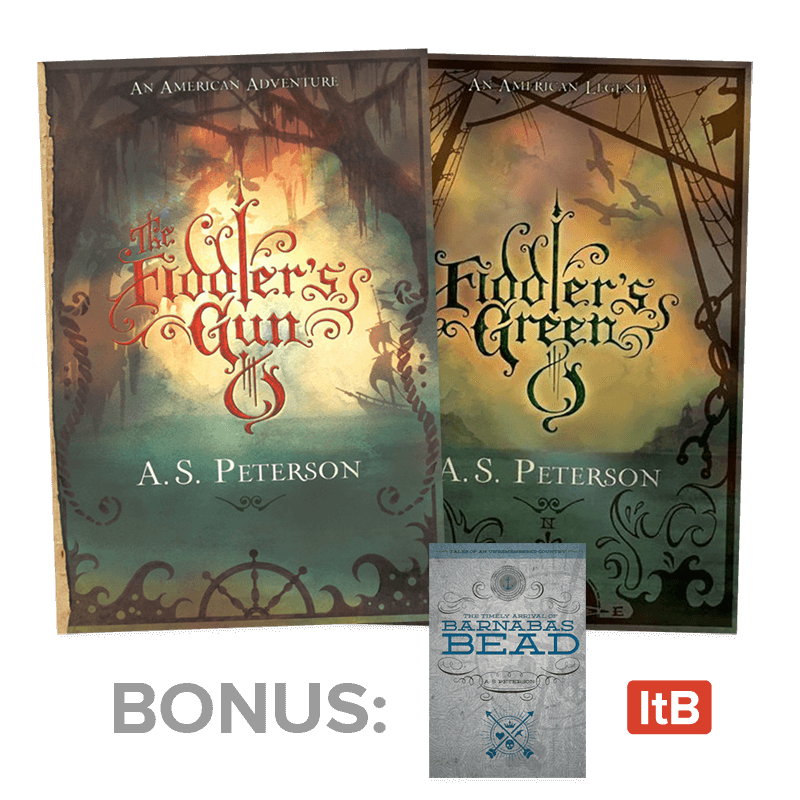 As if this series on its own weren’t enough, we’re also giving away a bonus book: a short story entitled “The Timely Arrival of Barnabas Bead.” This is another story by A.S. Peterson in the same world as Fin’s Revolution, and we’re throwing it in free to whoever wins our giveaway. So how, do you enter? Glad you asked! Check out the cool widget below to throw your hat in the ring. This giveaway runs from today to Friday the 26th. Sadly, we’re not able to ship out of the US, so this is US addresses only. Otherwise, this is open to everyone. Good luck! These sound wonderful! How did I not realize there was another Peterson author?! Oh, I had no idea Andrew Peterson’s brother also wrote! The books sound very interesting. Have the kindle version would love to win a paperback if possible. Three more books to possibly add the collection for our son 🙂 Soon he will be old enough to appreciate the fine works of the Peterson family. These look like more good books! A book giveaway, ah!!! Must enter for Peterson books!!!! Pete is a fantastic author! My copies of these books wandered off to be enjoyed by friends and never came back. I’d love to have them back on my bookshelf again! Oops — used the wrong login above. Pete’s books are worth looking a bit foolish. 🙂 Hope I got it right this time. Me too, Alyssa. Me too.